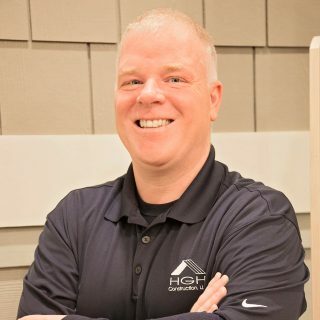 Born and raised in Chattanooga, TN, Rick joined HGH Construction in 2015. Rick is a Project Manager for HGH Construction where he assists John Coffelt in managing the building and development of the Ashmore Subdivision in Red Bank, as well as custom built homes for clients. After living in Nashville, Atlanta, and Fort Lauderdale over the last 18 years for his career in Banking, he moved back to Chattanooga in 2015 to be closer to his family and to follow his passion for the homebuilding industry. A graduate of Notre Dame High School, Rick has a Bachelor of Science Degree in Interior Design from the University of Tennessee at Chattanooga. In his spare time, Rick enjoys spending quality time with his family and friends, taking advantage of the outdoor activities that Chattanooga has to offer (such as kayaking and bike riding), trying new restaurants, watching action movies, and listening to different styles of music from “Swing” to “ House”.